Indigo and Mouse: Living Proof Worth The Hype? If you're a regular reader on my blog, then you'll know that I like to take good care of my hair. For the past few years I've been really conscious about how I treat it, and how it responds to the products I use. I'm a great believer of karma when it comes to hair. If you abuse it, it's going to show, and while you can't change genetics, you can change your habits. Unless of course you were born with amazing hair that's indestructible and unfazed by over processing. A Bit About My Hair. I detoxed my hair a couple of years ago which I'm really proud of, as anyone growing their colour out will know about the awkward in between stage. I was also washing my hair everyday, straightening it after each wash, and getting highlights every six weeks. My hair wasn't behaving very well, it would never grow past a certain length, was super dry on the ends, and the colour would never turn out exactly how I wanted it to. So one day I decided that enough was enough, and I needed to break the cycle. If you'd like to know more about how I did this, let me know and I'll dedicate a post to it. The results of my detox were amazing. After a few months my hair started to grow much faster than it previously did, and I trained it to go that extra day between washes. It was in the best condition of my life, and I couldn't believe how long it was getting, but as the saying goes 'all good things come to an end', and I eventually got bored of my natural colour. So many a few mistakes later, here I am, starting all over again. I'm a lot more relaxed this time around as I don't have to worry about the ugly in between stage. I get a toner put through my hair to soften the blonde and blend it more with my root colour. Toners wash out, so they don't damage hair, but you need to get them applied regularly as they do fade quickly. When it comes to washing my hair, my main niggles are that it gets greasy quickly, and it's extremely knotty. It's quite high maintenance when it's wet, as it takes a lot of effort and the right products to tackle the knots, but once I've blow dried it I don't have to do anything else. I look for shampoo's that are colour safe and don't contain harmful chemicals like parabens and sulfates. I've heard a lot of good things about Living Proof by reading reviews online, but it's not a brand that many people talk about here in the UK, so when I used up the last of my Kevin Murphy products this brand was next on my list. 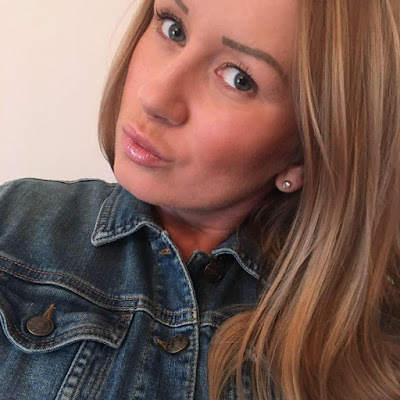 If you missed my Kevin Murphy haul and first impressions and would like to know my thoughts, you can find it by clicking here. 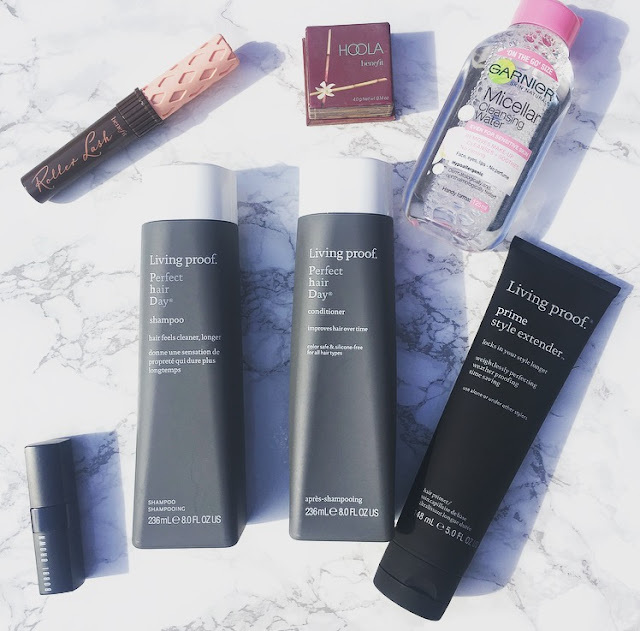 Living Proof products are sulfate, silicone and paraben free, which is what attracted me to them. And while I always try to choose products that don't contain these nasty chemicals, I sometimes find they don't work as well as products that do. For all hair types. Sulfate-free, silicone-free, oil-free. Safe for colour and chemically treated hair. My Thoughts. This shampoo is aimed at women with multiple hair concerns, so I thought it would be a perfect fit. There's quite an overpowering citrus scent to this shampoo, which is nice and fresh but doesn't last long. It lathers well for a sulfate free shampoo, and is ever so slightly on the runny side. Combined with the conditioner it also left my hair very soft and shiny, so much so that I couldn't stop touching it. That's where the benefits stopped, as the shampoo left my hair quite flat, and I wouldn't say it felt cleaner for longer either, but there is supposed to be a cumulative effect, so maybe I didn't try it for long enough? Overall a good sulfate and paraben free shampoo, and although it's a lot of people's holy grail, it didn't blow me away. On a side note, I used this on Molly and it had a better effect on her fur than it did on my hair. My Thoughts. A creamy conditioner which is just okay, While there's nothing bad about it, I wouldn't buy it again. It didn't weigh my hair down, but it didn't give my hair a lot of slip, so it was still incredibly difficult to de-tangle. On a more positive note it did make my hair intensely shiny, but I'm sure the shampoo did most of the work here. I think this conditioner would suit someone with hair that doesn't need a lot of moisture, and doesn't tangle easily. My Thoughts. I've only used this a handful of times, and each time I have layered it with other styling products to create loose waves. It performed really well to create a base for other products, and make them work more efficiently. My hair seemed to be a lot shinier than usual, and I loved how well it layered with other products. However, I found that it left my hair a bit dry, which made me use more products on top. Again, I don't believe it made my hair cleaner for longer (I'm beginning to think it's just me!?) but I was really impressed with how lightweight it was. The Verdict. I didn't think the claims lived up to the results, so I was left a bit disappointed with this brand. I wasn't blown away by any of the products I tried, but thought the shampoo was a good sulfate and paraben free choice, but I would pair it with a different conditioner next time. With all the positive reviews online I was convinced I was doing something wrong. The products retail at £20 for a 250ml size shampoo and conditioner, and the style extender cream retails for £18 at Escentual.